The Venice Supper Club is a convergence of style, food, and art. Housed in a private location, each evening features a unique guest list of artists, innovators and tastemakers, enveloped in an atmosphere of eccentric interiors, sumptuous cuisine, and freedom of expression. Organic, beautiful food is the taste that accompanies an experience of fantasy and imagination. 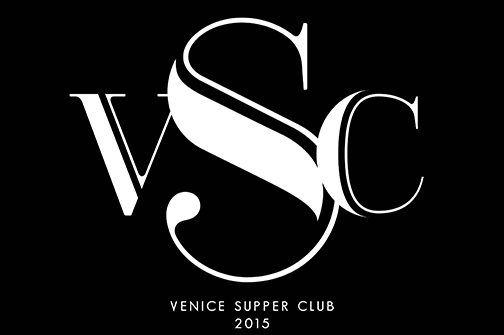 Curated conversations, live performances, and themed costume evenings are part of what makes the Venice Supper Club unlike anything else.